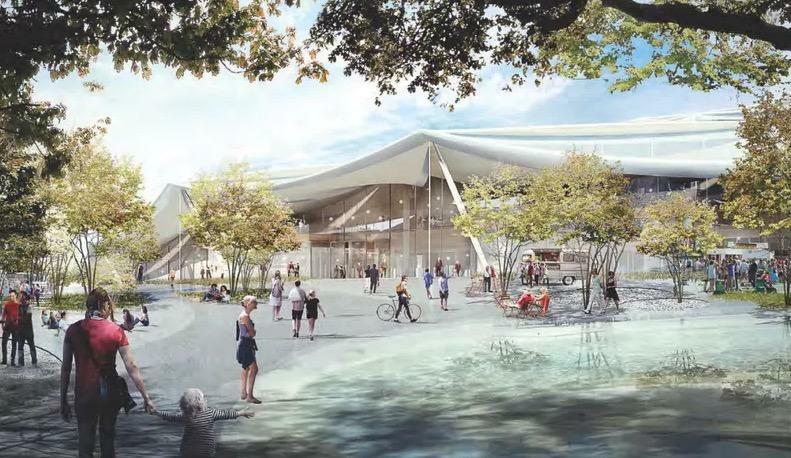 More than a year ago, Google revealed plans for an insane mega-campus in Silicon Valley. 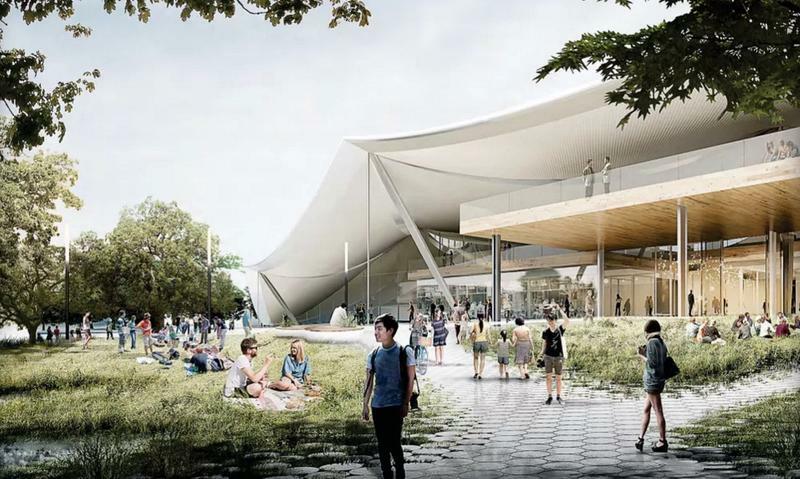 We haven’t heard much about the company’s plans for a new headquarters since then, but a fresh set of renders submitted to the local government offer an updated look at the crazy design. 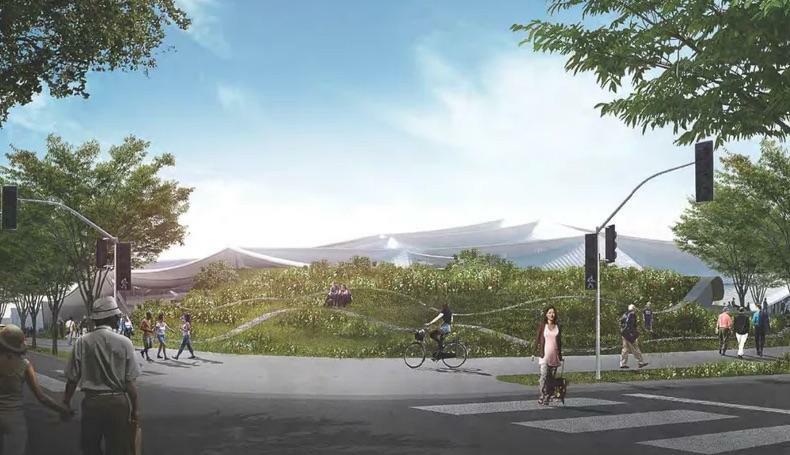 Google still wants to build what essentially looks like several small villages covered by giant glass canopies. 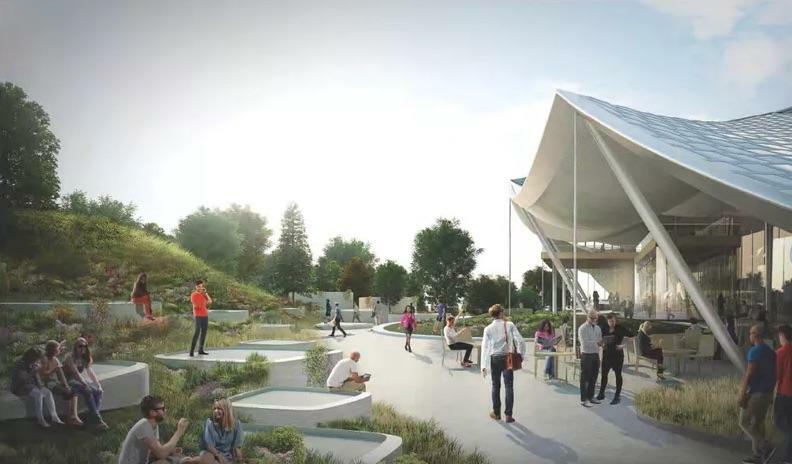 In the new renders, these structures look more like large circus tents and less like grounded space stations. However, the basic idea of creating an open but still controlled environment is still there. 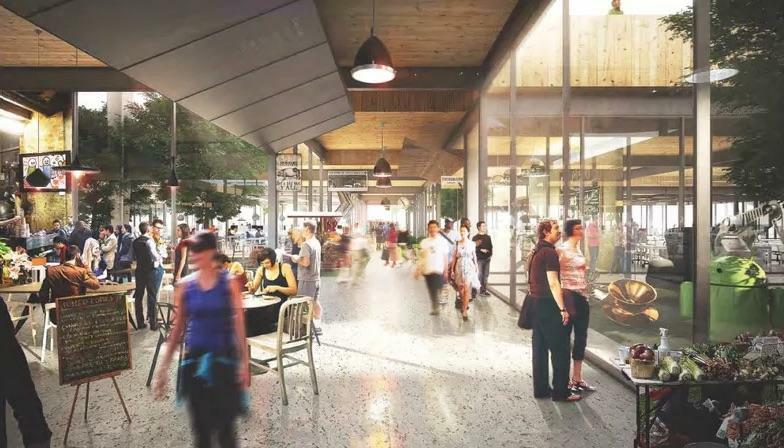 Each canopy will house a mix of buildings and open spaces, including restaurants, offices, gyms, interior landscaping and more. 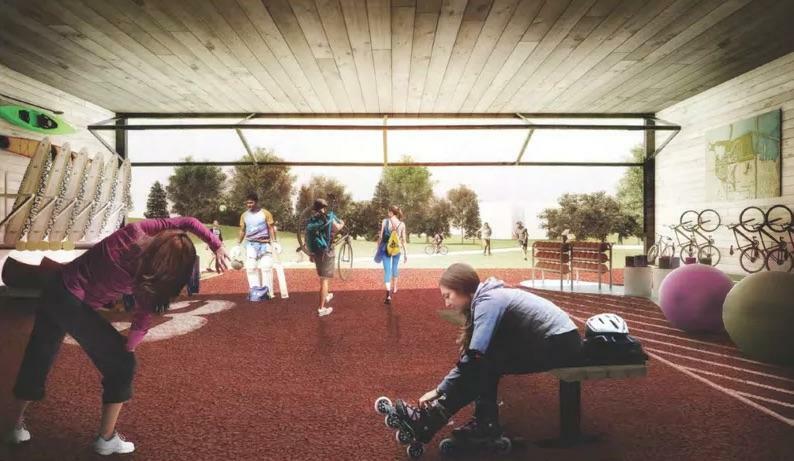 Google’s plan also includes 1,200 parking spaces and over a thousand bicycle parking spots. 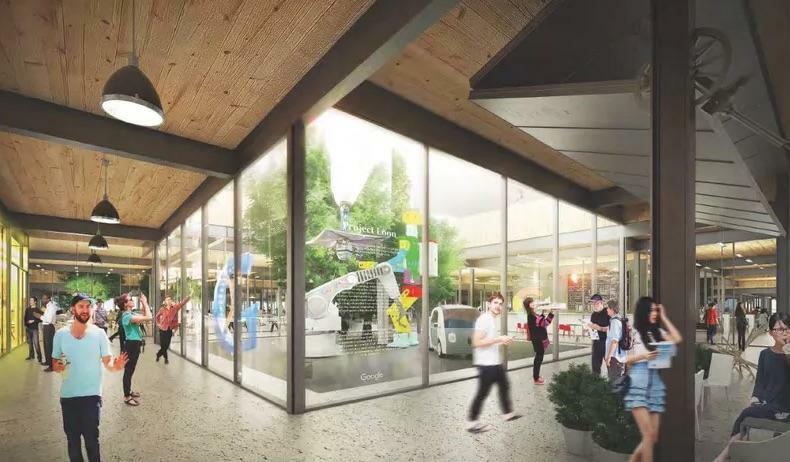 There’s even a public walking route through the structure that could open up Google headquarters to the rest of the community. 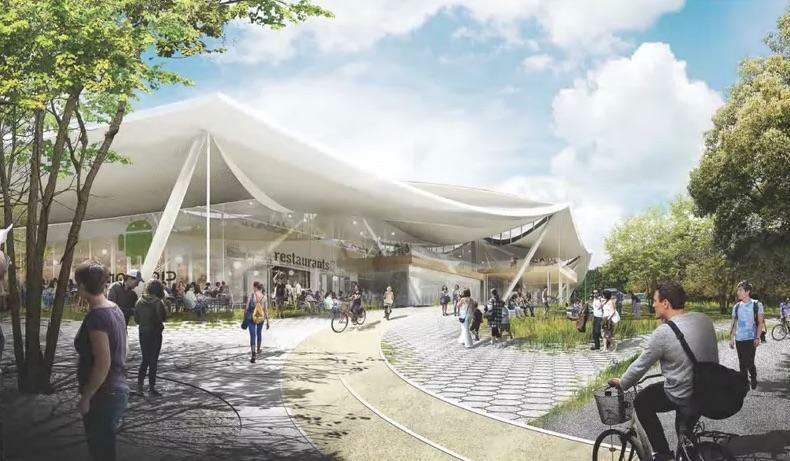 The company’s concept for a new campus looks pretty awesome, but there’s still no set schedule for when construction will begin. 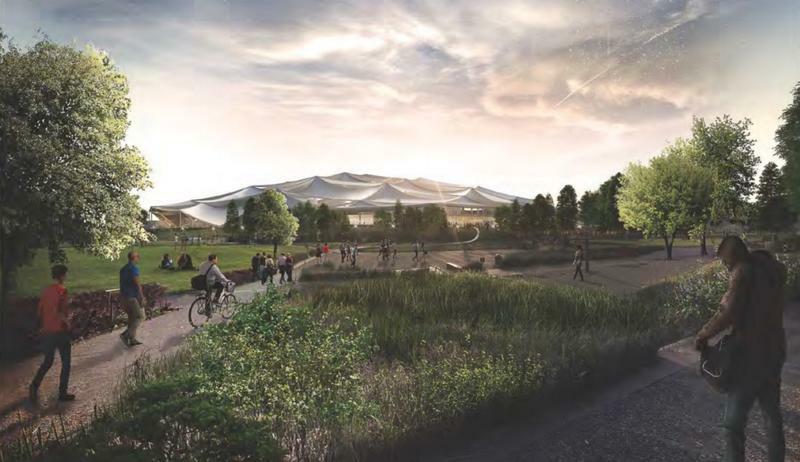 With Apple set to open its own futuristic new headquarters early next year, Google will need to pick up the pace if it wants to keep up with the competition.